David Ibbett is a British composer based in Boston, USA. He has found inspiration in many places – songs, symphonies, pop, classical and the electronic – and bringing these strands together is his ultimate aim. The son of a scientist, he co-directs the Music of Reality performance series with pianist Sophia Subbayya Vastek. In 2004, David won a scholarship to attend Clare College Cambridge, studying with Giles Swayne and Robin Holloway, going on to undertake his Masters and a Fellowship at the Guildhall School of Music & Drama with Julian Anderson. In 2015, he completed his doctorate at the University of Birmingham (UK) with Jonty Harrison and Scott Wilson. In 2014 he moved to Boston, USA, where he lives with his wife Sarah and son Lawrence. His music increasingly reflects a passion for working with electronics. This fascination began in 2008, when he undertook a residency at the Aldeburgh Music Festival, studying with Jonathan Harvey, composing Cellosamper (2008) for Olly Coates. The work was later selected for performance at the Faster Than Sound Festival at Bentwaters Airbase. and Islands, concerto for cello and electronics (2014, premiered at Birmingham’s Elgar Concert Hall with BEAST - the Birmingham Electroacoustic Sound Theatre - US premiere at the Electronic Music Midwest Festival with Craig Hultgren). 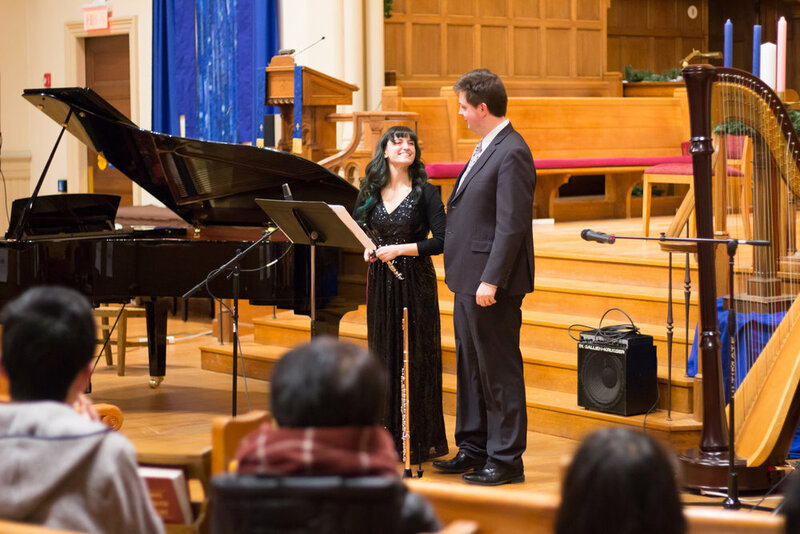 In 2015, David co-founded Music of Reality with pianist Sophia Subbayya Vastek, a performance series that combines music and science in live performance. The series has collaborated with physicists (Dr. Mathew Kleban, NYU) , biologists (Dr. Paul Garrity, Brandeis), engineers (Dr. Irmgard Bischofberger, MIT), sociologists (Dr. Clara Han, Johns Hopkins) and oceanographers (Paola Rizzoli, MIT). For these concerts, David has composed a series of works for piano and electronics, including the Beauty from Nothing EP, (2016), Phenomena of Growth (2017) and Floods and Tears (2018). David's collaborations frequently take him outside of the realms of concert music. He has composed scores for many plays including Finding the Sun, The Iliad, The Wasteland and Macbeth at the Cambridge ADC. David has several long running partnerships with contemporary dance choreographers, notably Jacob Hobbs and Letizia Mazzeo. This has led to his works being performed at The Place Resolutions! (Dahlia – 2011, Project 51 – 2012, 27 Dragonflies - 2013), the Laban Dance Theatre (Miksang – 2011}, and the Circuit Soup Screen Dance Festival [Highwalking – 2010]. He has worked with filmmakers (In the Garden – 2009, Insomnia – 2010), architects (The King and the Minotaur installation – 2011), and live-game designers (Baba Yaga installation – 2011). David is a passionate teacher of music, and teaches composition and piano at the Yamaha School of Boston, and privately at his studio Ibbett Music in Burlington, Massachusetts. Prospective students can visit the Lessons page for more information.